Nurse vs. Caregiver: What’s the Difference? One of the main questions you will face when the time comes is whether your loved one will need assistance from a nurse or a caregiver. What’s the difference you ask? Read on to learn the difference between the two and how they can be instrumental in providing the best care for your senior loved one. A nurse is licensed to perform skilled medical care. If your loved one requires IV therapy, someone to administer prescriptions, regular injections, or other skilled care, it is a nurse you want on hand. Nurses also monitor the progress of the patient who might be recovering from illness or injury. Nurses typically provide these services in hospitals, senior living community, urgent care centers, memory care centers, and home health agencies. 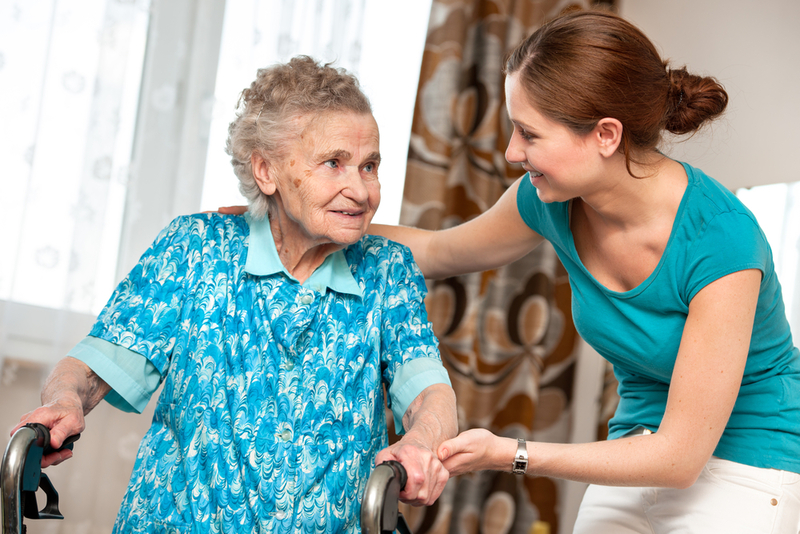 If your loved one needs medical care or suffers dementia, Alzheimer’s or other medical issues that need attention, a nurse, or assisted living residence with a nurse on staff might be the best care option. A family caregiver provides hands-on assistance to help with daily activities of living, and also provide companionship for their clients. Caregivers assist with the day to day needs of seniors, like personal care, help showering, using the bathroom, cooking meals, grocery shopping, or anything else your senior loved one might need. For the senior that would like to stay in their home but needs some assistance with daily living, a caregiver might be a good option. ProTip: Nurses and caregivers provide valuable professional care to their patients. Each role is vital to the well-being and quality of life of aging seniors. Before making a decision, assess what type of care your senior loved one needs. Do they need the skilled medical care of a nurse? Or only the assistance of a caregiver at this time? Many will need both at one time or another. Use the above nurse vs. caregiver guide to determine which type of care is best for your aging loved one. Contact us for more information on the difference between a caregiver and a nurse to see which one your loved one might need.